EBS 5.0 Organize your finance more effectively and making organization successful in the changing world. Voucher will be used for entering the voucher details. Voucher modification or deletion is possible only if privileges are given. Voucher number is reset every month / daily. 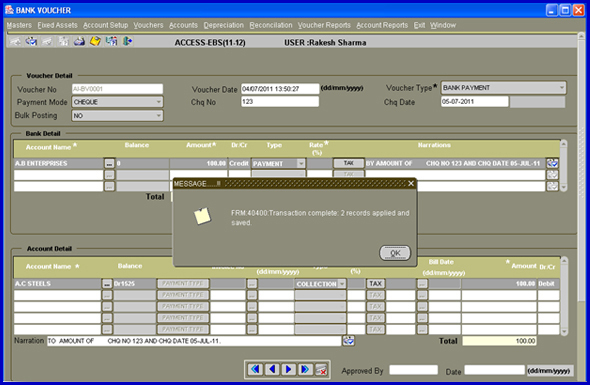 Voucher printing can be taken at the time of voucher entry when the voucher is saved as well as afterwards. Voucher can be modified or deleted if it is not approved, however if the voucher is approved the voucher cannot be updated or deleted. If the voucher deletion or updating is done then the log is generated to track the Updation/deletion history containing the user and time. Vouchers punched by accountants can be approved only by authorized managers. 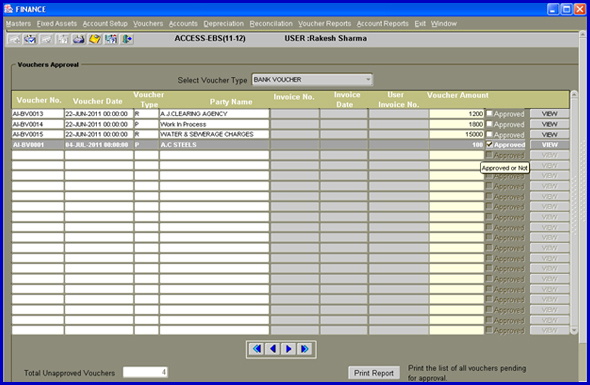 Modifications for approved vouchers are disallowed and hence ensure data sanctity. Bank reconciliation is a process that explains the difference between the bank balance shown in an organization’s bank statement, as supplied by the bank, and the corresponding amount shown in the organization’s own accounting records at a particular point in time. 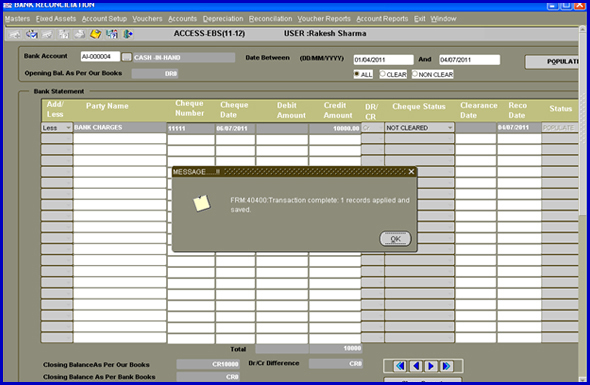 EBS 50 Provide the facility for the Bank Reconciliation. 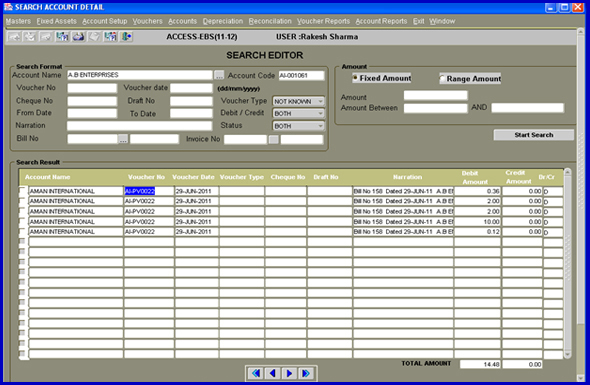 This option is used to view the information about the Account with there Voucher No & amount of every with in the date range. After filling all the details press the start search button to populate the voucher no with in the entered criteria. 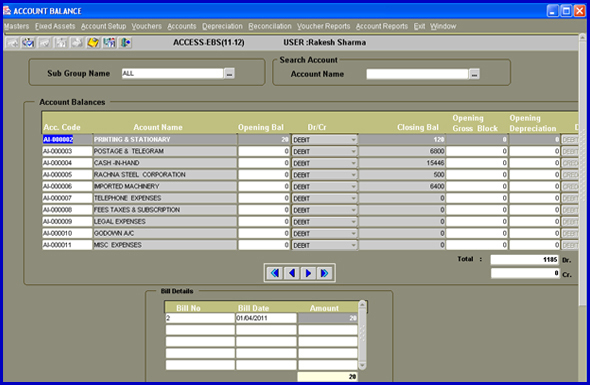 Enter the Account Balances of each Account (Debit/Credit balance). Shows running balance of each Account. (After voucher transactions) .Start of new Financial year. Transfer the closing balances of last financial year in the opening balance of New Year.